I don’t bother to think, “if I could just knock down that wall and rotate the kitchen bench and cut in a window over there.” They are big changes that require time and planning. Instead, it is the small things that irk me because they are so easy and quick to change and can have such a huge transformative effect. 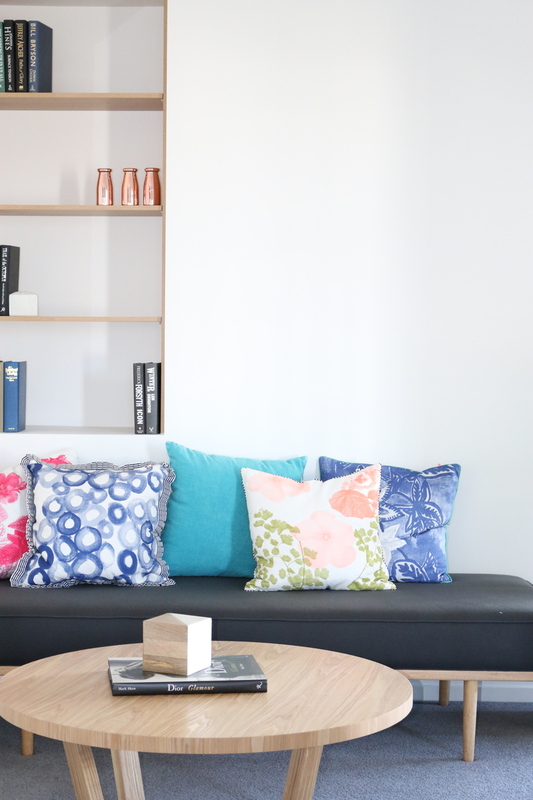 Here are some other super quick and simple ways to improve your home all within 5 hours tops. The easiest and quickest improvement you can make to your space is to edit. This means standing back and critically assessing your space and what’s in it. Reevaluate what and why you keep what you do and do some ruthless culling. Someone once said to me the only thing worse than a blank wall is bad wall and that really applies to everything. A bare space is better than an outdated one. Once you have deleted what you no longer value it is time to regroup, literally. Have you got art and just ‘things’ scattered throughout your home in an ad-hoc way? Take them all down and start from scratch. Group your art together, gallery wall style. As for your décor items, create vignettes throughout your home with items that work together and compliment each other for a more thoughtful look. You can completely transform and modernise your bedroom by painting your dated chocolate brown timber bed a bold black or crisp white or even a deep navy (in the right scheme). It also might be time to freshen up buffet or console or a chest of drawers. People think I’m mad when they see me painting furniture. canary yellow or emerald green and then they see it in context and it all makes sense. Take a chance. It’s quick, cheap and impactful. Curtains have made a comeback and it is good news for everyone because they are that addition to the home that adds softness and that feeling of completion with little effort. 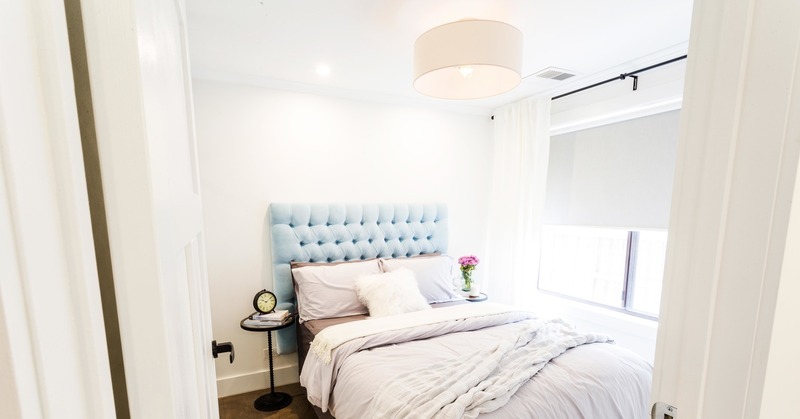 While custom made curtains generally have a minimum 4-6 week lead time, ready-made curtains are both affordable, easy to install and available in styles that reflect consumer demand. Replace ALL your foam cushion and pillow inserts with feather ones. I appreciate that, to many, this may seem insignificant and nitpicky but foam cushions look cheap no matter how impressive your cushion cover may be so it’s worth paying the extra dollars for a feather insert. And hot tip, there is a certain large Swedish chain (Ikea) that sells feather cushions at a very affordable price. Just pick a day. You can quite feasibly improve your interior in 5 hours. It doesn’t need to cost you the earth and you’ll be so glad you did. Do always start with a good edit of your space and don’t look back.